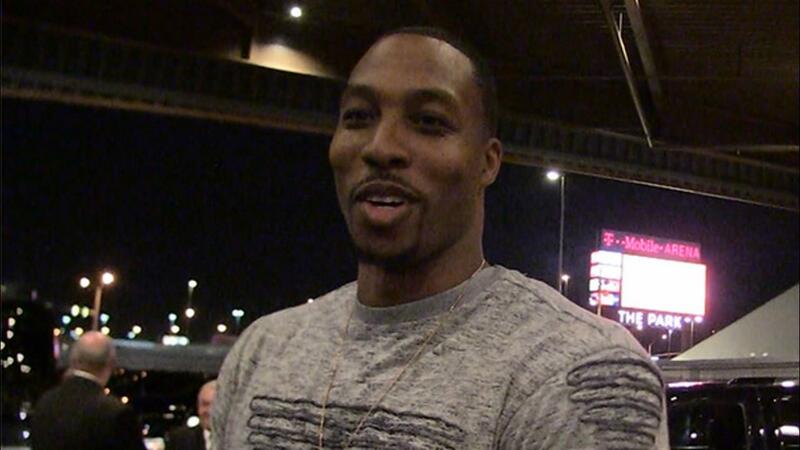 Dwight Howard has already gone on record as saying he would beat LeBron James in an MMA fight. (We remain unconvinced.) But when TMZ caught up with him recently (literally caught up with him; they were probably sprinting as he got out of a car), he said he'd love to follow in Shaq's footsteps and mix it up for WWE. Although Shaq and Dwight share the same agent and Shaq is his "dogg," Howard said that he thinks Big Show has the edge at next year's WrestleMania, since Show has the experience as a wrestler. Pretty sound, although that didn't work for him when he went up against Floyd Mayweather. "Of course. I like to entertain people. I'll get down there and scream and yell and suplex somebody, RKO outta nowhere." NBA fans have been "entertained" by Dwight for years and years, of course. Honestly, I can't think of anybody better suited to be our generation's nWo Dennis Rodman. (Let us never speak of Karl Malone's wrestling career.) Come on, WWE, make this happen. We already know this is going to be fun. See? It says it right there on that magazine cover! And that was super fun, right, NBA fans?